(Natural News) When you choose to move off the grid and start prepping, this doesn’t mean you have to give up access to all modern conveniences. Before switching to solar power, remember that this option can still be an expensive one. Even though the prices of solar power equipment are becoming more affordable, system prices may still vary from between $15,000 to $20,000. These prices don’t include any state or federal tax credits or rebates yet. However, if you’re dedicated to living off-grid and saving money on power in the long run, you can do this by switching to solar power. It may sound daunting at first, but if you do your research and plan carefully, you can set up a DIY solar system so you can finally live off-grid. Try to start small. For about $5,000, you can set up a smaller system that you can use for emergency power. This affordable option is also perfect if your household only has relatively small power needs. To calculate how much power your household consumes, list down every item that you’ll connect to your solar power system. Remember, each item on this list can make a difference once you switch to a renewable energy source. If you’re not sure how to do this, refer to a load evaluation calculator. These online calculators will require you to input data like the type of appliance you use quantity, watts and hours of daily usage. An accurate estimate of your energy usage will help determine which power system is suitable for your homestead. If you’ve had electricity in your home, you can check your past electricity bills to determine the kilowatt-hours (kWh) you use. Base the data you input on the load evaluation calculator on the highest usage seasons in your area. After you compute how much power you require, figure out how many batteries you need to store it. How many days worth of energy needs to be stored in each battery bank? Will the batteries be stored in a cold location? A colder room usually requires a bigger battery bank. Will you require an alternate power source on days when there isn’t enough sunshine? This factor may be affected by your location. Do you know what voltage battery bank you’ll need? Solar power system batteries usually require 12 volts (V), 24V, or 48V. However, a large system will often require batteries with a higher voltage. Use this battery bank calculator to figure out the voltage of your battery bank/s. Batteries will also require maintenance, and you need to consider if they will be within your budget. Two battery types most commonly used for off-grid solar power are lead-acid and lithium. Lead acid batteries are more affordable, but they require maintenance. They also have a shorter lifespan compared to lithium batteries. Lithium batteries are the most efficient, and they have the longest lifespan. While they don’t require maintenance or venting, they are more expensive. Monitor how many hours of sunshine you get daily so you can figure out how many solar panels you need. Sun hours will tell you how much sunshine you can harvest. However, sunlight may hit your panels at different angles, and it will be brighter at certain times of the day. It’s better to refer to the season that gives you the least amount of sunshine so your calculations are accurate and you don’t run out of solar energy. Use this calculator to determine the average hours of sun in the city closest to you. After you confirm the hours of sunshine your panels will get, you can use this calculator to find out how many panels you need. A solar charge controller is used to charge batteries properly and extend their life. Choose the right controller by taking note of the wattage of your solar panels and dividing it by the battery bank’s voltage. This will help calculate your needs. Pulse Width Modulation (PVM) – If the voltage of the battery bank is the same as the voltage of the solar panel, you can use a PVM solar charge controller. Maximum Power Point Tracking (MPPT) – If the battery bank and solar panel voltage are different, use an MPPT solar charge controller. The “brains” of a solar panel system, the inverter directs current from the batteries into alternating current (AC) for your appliances. Knowing what type of AC power you have will help determine the kind of inverter you need. Since you already know how many watts you will be powering, you just need to check the voltage of your battery bank since inverters are designed for a specific voltage. Aside from being a source of renewable energy, a solar power system can also be used to avail of a federal tax credit. You may qualify for a credit that amounts to 30 percent of your total cost, and this credit is currently available until the end of 2019. Take note that the percentage will decrease every year and cease after 2021. Since this is a credit and not a deduction, you can deduct the amount from your tax payment. This credit is also available for a DIY solar power system. As a prepper, you can use solar power to live independently from the power grid. It can also help you take one more step on the road to self-reliance. 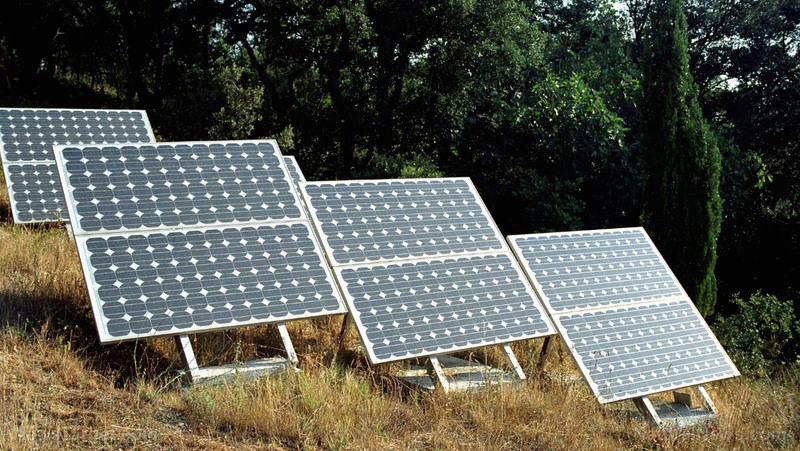 You can read more guides on how to set up solar power in your homestead at SolarPanels.news.